We have been welcoming you home for 24 years! *No Minimum Stay during most seasons! 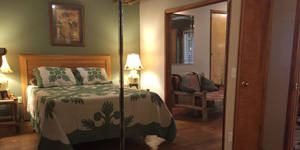 We are a licensed Maui Bed and Breakfast on the south side of the island. South Maui offers more sunny days at this Maui Bed and Breakfast than anywhere else on the island. Staying in South Maui can save you 45 minutes to an hour or more when visiting many destinations such as Haleakala, Hana, the airport, and Upcountry Maui. Winter Warmth in Maui! We have it all! South Maui has continuous great weather. Even the recent hurricanes sidestepped us to leave our island playground a much-needed sanctuary for those caught in the storm’s path on other parts of the island. The recent disasters on Kauai and “The Big Island” of Hawaii have proven the diversity of the islands, With Maui having the best weather and welcoming atmosphere. A stay on Maui offers guests the best of everything. Incredible beaches await with beautiful white sand, crystal waters with so much sea life you think you are in an aquarium. Our Hawaiian Green Sea turtles have made such a comeback that you see them snorkeling in practically every South Maui beach. For the adventurous, you can take a once in a lifetime short plane ride to visit the active volcano of Kilauea. And be back in the safety of Maui the same day. Winter dates are filling up. Spring Break is just around the corner. Book now to ensure your dates. Our room rates are competitive. We have a SPECIAL OFFER-10% discount on all bed and breakfast rooms paid with cash or check. This includes high season winter bookings. We are in now in our 24th year of operation at Maui What A Wonderful World, Bed and Breakfast. Our License number is BBKM 2009/0005. The license offers you confidence in your vacation choice. To maintain our Bed and Breakfast license, we are inspected annually by county and state health, building and zoning departments. 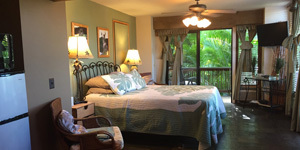 Rest assured we will be here when you arrive, offering you a safe and reputable place to rest your head in Maui. Jim and I are happy to say that we have shared the #1 rating for B and B on Trip Advisor! many times throughout 2017 and 2018. What a Wonderful World Bed and Breakfast is one of the very few b and b’s to offer no minimum stay (select dates excluded) without a cleaning fee as well as a sit down continental breakfast on our B and B lanai with ocean view. With the bed and breakfast just one block north of Wailea, beaches are close. Keawakapu Beach and Kamaole Beach Park III are less than a mile walk away. Enjoy snorkeling, paddle boarding, boogie boarding, surfing, and all beach activities year round. Summer, Awww, Summer. Kids love summer and Maui loves families! The temperatures in Maui are consistently in the mid-eighties to low nineties. We suggest reserving early to ensure your suite is available for you. If your plans are for an upcoming Maui wedding, we at Maui What a Wonderful World Bed and Breakfast can assist you. Jim and Eva will provide complimentary help with wedding license appointments, wedding locations, ministers, cakes, and flowers. And for larger weddings, we can provide coordinator information. We have been running this Bed and Breakfast since 1995. And we have lived on Maui since 1993. We enjoy sharing our knowledge of the island with our guests. We are only too happy to help make many arrangements that will make your stay easier and more enjoyable. We will help you in reserving tickets for attractions and activities either in advance or when you get here.